The "last will" documents available in office supply stores are printed form wills. These forms provide outlines that you fill in with personal information. No state prohibits the use of form wills, but each has its own specific requirements for how a will must be signed and witnessed. You have to be certain that the form you buy complies with your state's requirements. You may want to get legal advice if you are not knowledgeable about the applicable laws. Alternatively, you can obtain a form will from your state's bar association or court website. 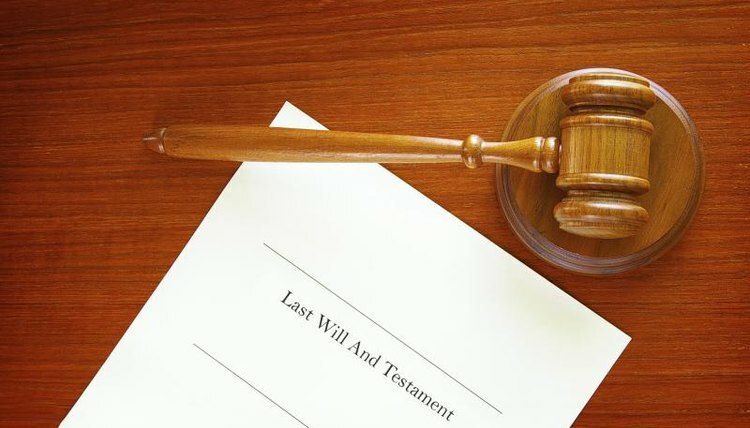 Generally, a will is a document that expresses your intent to leave your assets to particular beneficiaries when you die. No specific language is required to make a will valid other than that necessary to identify you and the people you want to inherit your property. Form wills provide blanks for you to fill in with this information, and that is perfectly acceptable in most states. A will doesn't come into effect until after you are gone, and state laws assist the probate court to verify that you were mentally capable of making a will and intended to make that will. This is accomplished by requiring your signature and witnesses' signatures on the will. To that end, you must sign the printed will and competent adults must witnesses your signature and then sign the will themselves. This is called executing the will. State requirements about will execution vary. Some states require two witnesses; some require three. A form will is likely valid in your state if it contains sufficient signature spaces to meet your state's execution requirements. Nolo: Settling an Estate: Does the Will Appear Valid? Spengler, Teo. "Are Last Will Documents Purchased From Office Supply Stores Legal?" , https://legalbeagle.com/7608073-last-purchased-office-depot-legal.html. Accessed 20 April 2019.